Education Bubble: The University of Missouri reported a near-25% drop in student enrollment following its unrest. This is the result of political correctness run amok, weak university leadership and inflated college costs. “I am writing to you today to confirm that we project a very significant budget shortfall due to an unexpected sharp decline in first-year enrollments and student retention this coming fall,” wrote Interim Chancellor Hank Foley in a university memo Wednesday. Instead of a 900-student drop, as Mizzou expected, the university was looking at a 1,500 student drop, and that meant a continuing revenue shortfall as a smaller freshman class moves toward graduation, he explained. With U.S. News and World Report reporting a 46% four-year graduation rate for the school, it’s a steep loss indeed. As a result, Mizzou has been hit with a $32 million revenue shortfall, and will have to cut expenses 5% and impose a hiring freeze. Bear in mind that the revenue shortfall was not the result of the Missouri House’s cutoff of $1 million of state money and $7.6 million from UM System administrative funding, which happened earlier this week. The chancellor emphasized that it’s due to the missing students. That’s the consumer verdict on the educational product the University of Missouri sells for $19,000 a year to in-state students and $32,000 to out-of-state students. Incredibly, the chancellor never mentioned in his memo any reason for their absence. It’s as if they vanished. 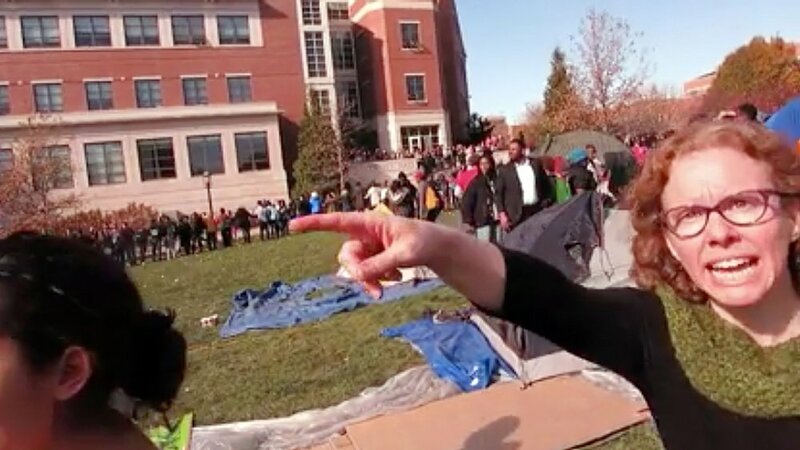 That the university is loaded with academic zeros such as Associate Professor Melissa Click, a women’s studies “expert” with zero knowledge of journalism, indoctrinating students in radical leftism at Missouri’s famed journalism school and getting caught on camera attempting to stifle free speech. No dissent allowed, and don’t even think about free inquiry. They also saw a wimpy establishment that permitted “Black Lives Matter” activists to pretty well take over the campus, hurl phony charges of racism at the school’s (leftist) establishment, and then see the university administrators cave to their demands like a bad souffle. In the wake of those protests, the university president was forced to resign, yet the demands of the radicals only grew louder. Amid this, parents and students saw the same overpriced tuition, bloated administrative budgets, useless majors and inflated salaries that plague all universities. So they voted with their feet, leaving one of the country’s once-great land-grant universities with a distinguished past academic history in the dust. If that’s not a warning to all universities to clean up their act, what is? NEXT POST Next post: Did Trump hack North Korea’s missile launch?